May 23, 2011 - Audio only. May 20, 2011 - Audio only. May 13, 2011 (Part I, Part II) – Part II is audio only. May 9, 2011 - Audio only. May 6, 2011 - Audio only. May 2, 2011 - Audio only. April 26, 2011 - Audio only. April 18, 2011 - Audio only. April 11, 2011 - Audio only. April 4, 2011 - Audio only. March 28, 2011 - Audio only. March 21, 2011 - Audio only. March 14, 2011 - Audio only. February 01, 2011 - Audio only. Continue to develop and implement cost efficiencies in the structure and operation of Senate offices and committees. Make recommendations for improving office functions and procedures and for enhancing services to Senators, the Lieutenant Governor, and members of the public. Review the online legislative resources available to the Legislature and the public, and make recommendations to enhance availability and transparency of governmental information. Ensure that any recommendations include safeguards to make certain that only reliable and appropriate resource information and official public documents are made available, that official documents are not readily manipulated by external entities, and that any information is maintained in a manner consistent with records retention requirements. 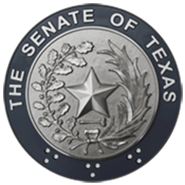 Monitor the implementation of legislation addressed by the Senate Committee on Administration, 82nd Legislature, Regular and Called Sessions, and make recommendations for any legislation needed to improve, enhance, and/or complete implementation.